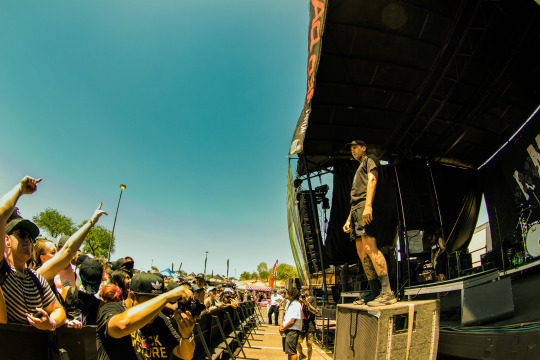 If you’ve been paying close attention to the site and our socials over the past couple weeks, you’ve probably realized that we spent a good amount of time at the last ever Vans Warped Tour recently. 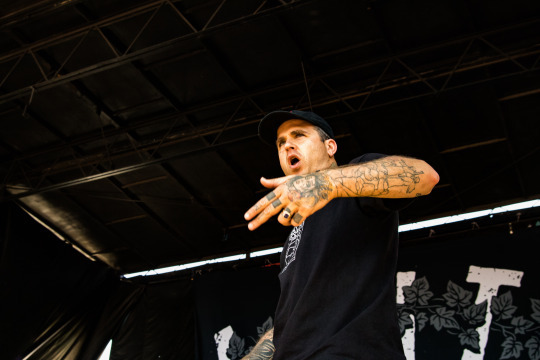 Hitting up Pomona, Ventura, and Phoenix to soak in Kevin Lyman’s last punk rock summer camp, while we were there, we were able to spend our time talking with a few kickass bands – bands like Australian metalcore juggernauts, The Amity Affliction. 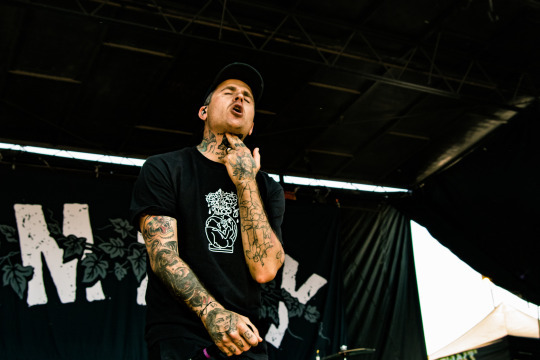 Catching up with vocalist Joel Birch and bassist/clean vocalist Ahren Stringer, we were able to discuss what it’s like playing in Arizona’s 107-degree heat as well as the band’s impressive new music video for “Ivy (Doomsday)” and their forthcoming highly anticipated LP Misery. To check out our chat with Joel and Ahren, be sure to look below. 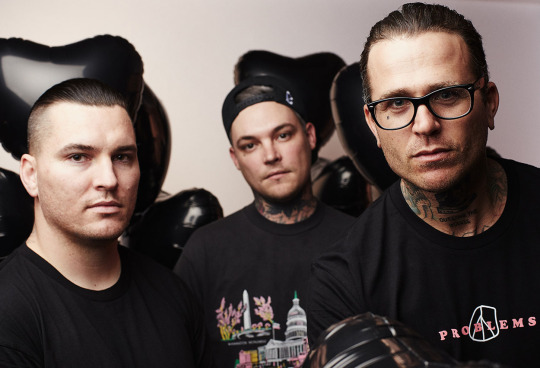 Afterward, make sure to pre-order Misery before it hits stores August 24th and grab tickets to see The Amity Affliction out on the Vans Warped Tour all summer long here. We’re five dates into Warped Tour, what’s been your highlight so far? Joel Birch: The Mountain View show for me. It was pretty cool. The crowd went crazy and it was a good time. That’s it so far. We’re only a week in so not much has happened. 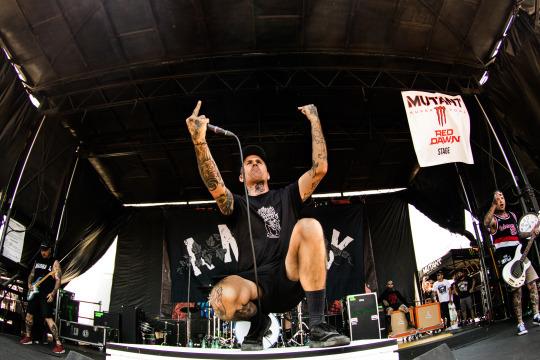 Ahren Stringer: Let’s see, Warped Tour so far. Every show has been better than the last. It’s been really fun, always is. 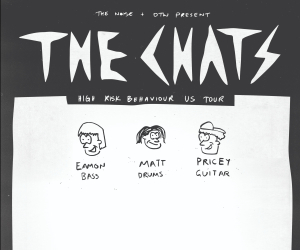 My favorite show would probably be… the late one that we played? I can’t even remember. It’s already a blur. But yeah, it’s honestly been great. And the best shows are the ones that aren’t super hot like today. [This morning] we were lucky enough to open the stage so it was maybe two degrees cooler. Does it get this hot in Australia? AS: Oh yeah, in the summer, in the north especially, it gets really hot and there’s a lot of desert but no one lives there because it’s too hot – like in Baron. But yeah, I’ve experienced 40-plus degrees [celcius] when I used to scaffold in Queensland and that was pretty bad. JB: And in school too. AS: And in school, yeah. They would shut down the school. JB: They would shut down the school at 42 degrees. Which it’s how hot right now? JB: It’s about that right now. AS: It’s 42 degrees now. AS: Yeah, and they tell people to go home from work too cause it’s too hot. So we should probably just shut it down now? 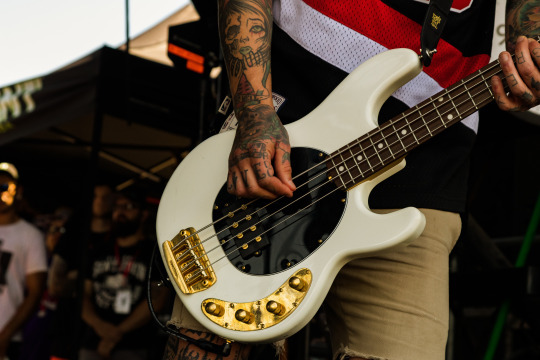 Who’s the band you’ve watched the most so far on Warped Tour? JB: I’ve only watched Deez Nuts and Harms Way and that’s probably all I’ll watch for the whole summer. Maybe Underoath actually and Less Than Jake [too]. AS: Kublai Khan, Deez Nuts and I really want to watch Less Than Jake when they jump on. Bummed I missed out on Unwritten Law. But yeah, all the secret guests I’m really excited to see. What secret guests would you love to see out on Warped? Okay, so let’s talk about this new music video you guys just dropped for “Ivy (Doomsday).” Where did the idea come from to make it like that? JB: It’s pretty easy because in Australia we have a pretty strong connection, almost folklore, with our criminals and the only really good Australian films, or most of them, are based on crime and criminals and true stories of criminals and criminal families. So I just sorta mashed together an idea that encompassed that criminal family element sticking up for the underdog. And that’s what we did and we did it in three parts so it’s kinda like a short film at the end. It will be really cool. AS: The next two will be even better than that one. JB: Yeah, it just gets crazier and crazier and crazier. Ahren, were you nervous when you heard about the amount of acting you had to do? AS: Yeah, definitely. We’ve acted in the last few clips so that was a little bit of a learning curve so we’ve had some experience, very little. But yeah, it was all improv so we didn’t really learn any lines we just kinda had the idea of the scene and then we just did whatever we wanted. That part was easy ‘cause we’re all Aussie bogans at heart [laughs] so it wasn’t too hard to get into character. That’s impressive to just improv it on the spot! Who’s your biggest influence as a filmmaker? JB: Well not an influence because we’re making music videos [laughs] not feature films but Christopher Nolan is the man. I think everything he does is amazing. AS: [Quinten] Tarintino. Anything with just lots of violence and gore, I like. 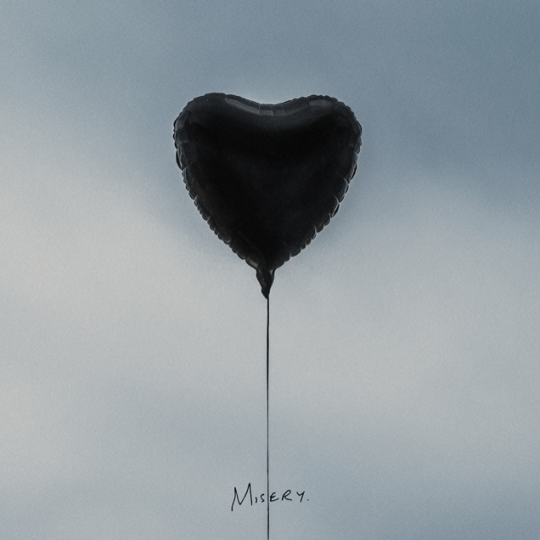 Moving on to Misery, what can fans expect with this new record? AS: “Ivy” is a pretty good indication of things to come. There’s lots of diversity on this album. There’s straight-up pop songs, some really heavy stuff still. Just a lot more – we’ve kind of slowed things down, simplified everything. It’s a much more modern and evolved sound for us. With where metalcore is as a whole, do you think it’s important to push the envelope and try to do something different?